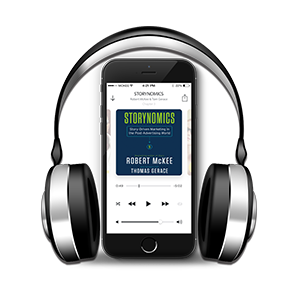 STORYNOMICS is based on the most in-demand seminar offered by the legendary story master. 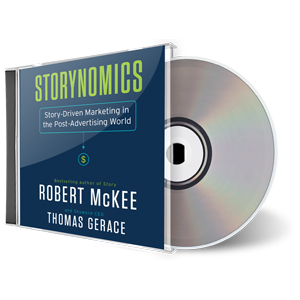 Robert McKee translates the lessons of storytelling in business into economic and leadership success, equipping you to use your story talent in the corporate world. 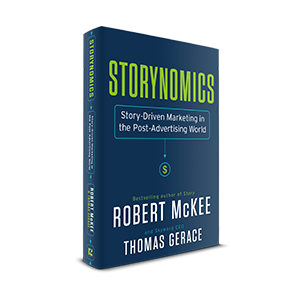 “We have worked with Robert McKee for over five years and his STORYNOMICS techniques have opened the door to our innovation and growth. A must read! Data is what is. Story is how and why what is, is. Story fits the human mind. It’s how the mind absorbs, sorts and structures reality. If you cannot see the world in story form, you cannot tell the story. You have to change the way you think, stop thinking things linearly, as in numbers and data, but think vertically in all layers. And from that context find the protagonist’s point of view and values. 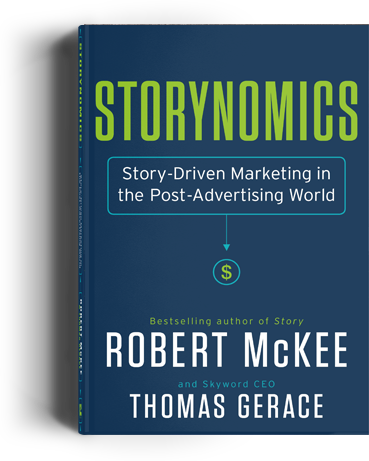 In STORYNOMICS, McKee partners with digital marketing expert and Skyword CEO Tom Gerace to map a path for brands seeking to navigate the rapid decline of interrupt advertising. After successfully guiding organizations as diverse as Samsung, Marriott International, Philips, Microsoft, Nike, IBM, and Siemens to transform their marketing from an ad-centric to story-centric approach, McKee and Gerace now bring this knowledge to business leaders and entrepreneurs alike.